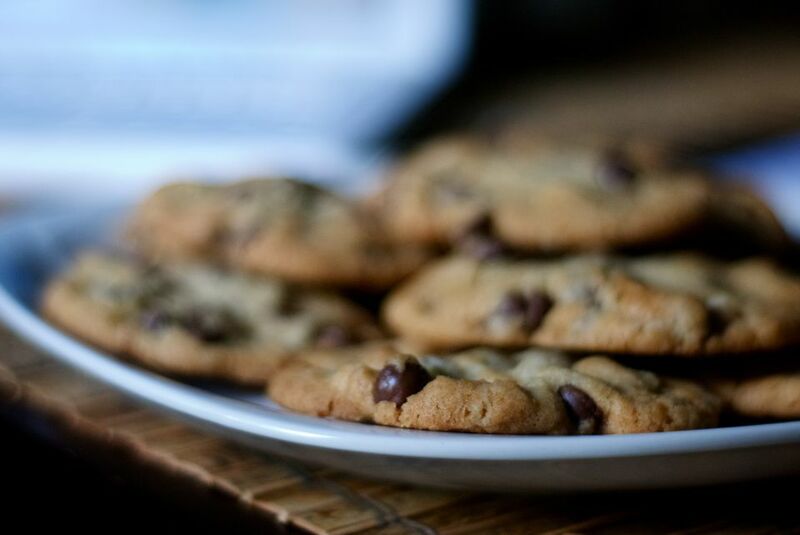 These Passover cinnamon chocolate chip cookies are a delicious adaptation of the traditional chocolate chip cookie recipe. The only change is the addition of cinnamon—the recipe is just too good to tinker with otherwise! If you like a crunchy cookie with an almost shortbread-like texture, this is a good recipe for your year-round repertoire. Not familiar with Passover cake meal? Passover cake meal is an alternative to flour during the Jewish holiday Passover. An alternative is used because during Passover, the consumption of leavened products is prohibited. Therefore "Matzo" or Passover cake meal is used instead. Matzo meal is much more coarse than regular flour and provides a flat texture. Therefore, if you are not making these cookies for Passover, you could use regular flour. However, as aforementioned, this recipe is so good just how it is! Make these during Passover or make up a few batches for family and friends! In a large bowl, beat together the eggs and the sugar, until the mixture is thick and light yellow. Whisk in the oil. Add the cake meal, potato starch, and cinnamon, and mix until well-combined. Preheat the oven to 400 F. Line two cookie sheets with parchment paper. Using clean hands, make walnut-sized balls of the chilled dough, and place about 1 1/2 inches apart on the cookie sheets. Flatten the balls with your palm or a spatula. Bake in the preheated oven for 10 minutes, or until the cookies begin to turn a light golden brown. Transfer to racks to cook. Enjoy! Once the cookies are cool, place in a zip-close bag and let as much air out as you can. Zip shut and store at room temperature for up to 1 week. These cookies can also be kept frozen in a freezer-safe zip-close bag for up to 2 months. When ready to consume, allow to thaw at room temperature for about 2 hours or until cookies return soft.